Are you eager to put your architectural design skills to the test? Here are some exciting upcoming competitions that will be sure to present you with the type of challenge you’ve been waiting for. AN‘s editors have combed through our online listing of architecture and design competitions to bring you five of the most interesting competitions happening right now. If you’d like your competition to be included in the listing, please submit it here. 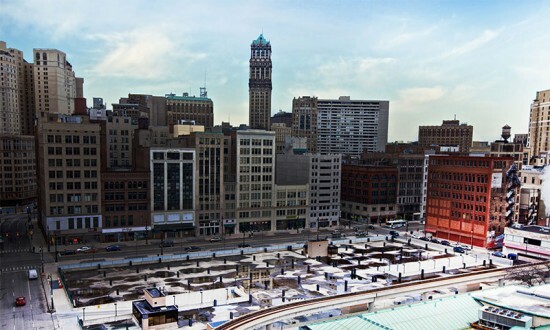 Redesigning Detroit: A New Vision for an Iconic Site. Opportunity Detroit is on the hunt for innovative, creative, and inspired designs for a new building that will be built on the historic Hudson’s site, one of the most beloved locations in downtown Detroit. The goal is to change the city’s image and to promote it as a positive place where anyone may live, work, play and invest. The competition, sponsored by Rock Ventures, will award a first prize of $15,000, a second prize of $5,000 and third prize of $2,500. Take action and submit a new vision for the iconic site. The Public Policy Lab Call for Fellows. The Public Policy Lab, the New York City Department of Education’s Innovation Zone (iZone), and the Office of School Enrollment have formed a partnership and are searching for opportunities to improve the high-school admissions process. The NYC Department of Education is the largest school district in the country and each year thousands of students participate in a complex school-selection and application process. Three fellowships for design research, visual design, and project strategy will be awarded to professionals interested in participating in the initiative to test iZone’s approaches and ongoing use of design-based innovation techniques. Slant Open International Competition 2013: “Evoking Memories.” SLANT is hosting an international landscape design competition in which it invites designers of all disciplines and experience levels to submit their designs for a “show garden.” Entrants are encouraged to interpret the competition any way they’d like, but the design should succeed in evoking some kind of memory, whether it be of a person, place, or event, personal or nationally-known. The top two designs will receive monetary prizes and six others will receive merit awards. International Gastronomic Center. From the beginning of time food has always brought people together. Through hunting, fishing, agriculture, and raising livestock the Greeks, Romans, Venetians, Arabs, Byzantines, and French developed their own regional cuisines. The growth of transportation via roads and boats led to the rise in tourism and consequently to the mixing and intermingling of these different cuisines, resulting in cuisines composed of diverse cultural components. The International Gastronomic Center invites architects from all over the world to design a new center that will attract chefs from all stretches of the world. The ideal center will accommodate their research initiatives, provide chefs with a space in which they can openly exchange their knowledge and ideas, and encourage creative experimentation. Additionally the design must include public spaces, classrooms, and conference rooms. The top three winners will receive cash prizes and recognition by being published in various international publications. Search and Destroy_Target #1.0 Rome. Inspired by Emperor Nero’s quote, “Rome will be born again, more beautiful and magnificent than ever before,” this competition dares architects to select any historical site in Rome, whether it be the Coliseum or the Ara Pacis, destroy it, and in its place redesign a new building that will hold the same meaning and serve the same purpose as the one before. This provocative competition aims to challenge entrants to contemplate the role that contemporary architecture plays in a historical city and consider the way that it responds to concepts of collective memory, monument, and identity.